The Creating Pathways to Diversity® conference focuses on global diversity and inclusion, talent optimization, inclusive leadership and management to bolster the promotion and retention of diverse attorneys. 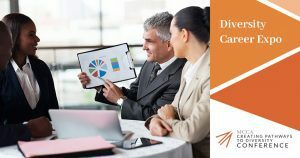 The program offers practical development tools, best practices and resources for individual lawyers and organizations. 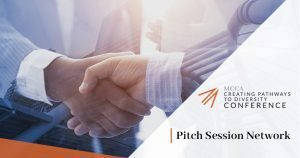 For individuals, there are workshops to improve rainmaking and business development skills, including the MCCA Pitch Session Network. The Pitch Session Network allows corporate law departments to directly connect with diverse attorneys, diversify their service client portfolios and assist in holding law firms and legal service providers accountable for their diversity efforts. For organizations, expert panels address areas for improved execution of a diversity and inclusion strategy. All of these programs provide opportunities for networking and advancing the careers of diverse attorneys. The 2019 Creating Pathways to Diversity® Conference will be held October 14 – 16, 2019 at the New York Hilton Midtown Hotel.